This article is about the film director. For other people named Tony or Anthony Scott, see Tony Scott (disambiguation). Anthony David Leighton "Tony" Scott (21 June 1944 – 19 August 2012) was an English film director and producer. His films come from a broad range of genres, including the action drama Top Gun (1986), action comedy Beverly Hills Cop II (1987), auto racing film Days of Thunder (1990), action comedy The Last Boy Scout (1991), romantic dark comedy crime film True Romance (1993), submarine action film Crimson Tide (1995), psychological thriller The Fan (1996), spy thriller Enemy of the State (1998), spy film Spy Game (2001), action thriller Man on Fire (2004), sci-fi action thriller Déjà Vu (2006), thriller The Taking of Pelham 123 (2009), and the action thriller Unstoppable (2010). He was the younger brother of film director Sir Ridley Scott. They both graduated from the Royal College of Art in London. In 1995 both Tony and Ridley received the BAFTA Award for Outstanding British Contribution To Cinema. In 2010, they received the BAFTA Britannia Award for Worldwide Contribution to Filmed Entertainment. Scott committed suicide on 19 August 2012, by jumping off the Vincent Thomas Bridge in San Pedro, California. Scott was born in Tynemouth, Northumberland, the youngest of three sons of Elizabeth (née Williams) and Colonel Francis Percy Scott (who served in the Royal Engineers). He followed in his elder brother's footsteps, studying at Grangefield School, West Hartlepool College of Art and graduating from Sunderland Art School with a fine arts degree. At the age of 16 he appeared in Boy and Bicycle, a short film marking the directorial debut of his 23-year-old brother Ridley. Scott studied art in Leeds after failing to gain admission to the Royal College of Art in London at his first attempt. He made a short film in 1969 based on the Ambrose Bierce story One of the Missing. As Ridley had previously cast him in a film, he reciprocated by giving his brother a role too. "The film cost £1,000", he recalled in April 2012. Whilst at the Royal College of Art, where he was taught by Raymond Durgnat, he starred in "Don't Walk", a film by fellow students Hank Onrust and Richard Stanley: the film credits state it was "made for BUNAC by MARCA films at the Royal College of Art". He graduated from the Royal College of Art, following in the footsteps of his elder brother Ridley, with the intention of becoming a painter. His eldest brother Frank had earlier joined the Merchant Navy. It was the success of his elder brother's fledgling television commercial production outfit, Ridley Scott Associates (RSA), that subsequently diverted his attention to film. His brother Ridley said, "Tony had wanted to do documentaries at first. I told him, 'Don't go to the BBC, come to me first.' I knew that he had a fondness for cars, so I told him, 'Come work with me and within a year you'll have a Ferrari.' And he did!" Scott said, "I was finishing eight years at art school, and Ridley had opened Ridley Scott Associates and said, 'Come and make commercials and make some money' because I owed money left and right and centre." He directed many television commercials for RSA while also overseeing the company's operation while his brother was developing his feature film career. "My goal was to make films but I got sidetracked into commercials and then I took off. I had 15 years [making them], and it was a blast. We were very prolific, and that was our training ground. You'd shoot 100 days in a year, then we gravitated from that to film," he said. Scott took time out in 1975 to direct a television adaptation of the Henry James story The Author of Beltraffio. After the feature film successes of fellow British directors Hugh Hudson, Alan Parker, Adrian Lyne and his elder brother during the late 1970s, all of whom had graduated from directing advertising commercials, he received initial overtures from Hollywood in 1980. His eldest brother Frank died, aged 45, of skin cancer during the same year. The '80s was a whole era. We were criticised, we being the Brits coming over, because we were out of advertising—Alan Parker, Hugh Hudson, Adrian Lyne, my brother—we were criticised about style over content. Jerry Bruckheimer was very bored of the way American films were very traditional and classically done. Jerry was always looking for difference. That's why I did six movies with Jerry. He always applauded the way I wanted to approach things. That period in the '80s was a period when I was constantly being criticised, and my press was horrible. I never read any press after The Hunger. Scott persisted in trying to embark on a feature film career. Among the ideas interesting to him was an adaptation of the Anne Rice novel Interview with the Vampire then in development. MGM was already developing the vampire film The Hunger, for which they brought Scott on in 1982. The Hunger starred David Bowie and Catherine Deneuve and introduced Willem Dafoe in a small role. The Hunger had elaborate photography and sumptuous production design, but it failed to find an audience or impress the critics, and had disappointing box office sales, though it later became a cult favourite. Finding few film opportunities in Hollywood over the next two and a half years, Scott returned to commercials and music videos. In 1985, producers Don Simpson and Jerry Bruckheimer approached Scott to direct Top Gun on the strength of The Hunger, as well as a commercial he had done for Swedish automaker Saab in the early 1980s, where a Saab 900 turbo is shown racing a Saab 37 Viggen fighter jet. Scott, though reluctant at first, agreed to direct Top Gun. Though the film received mixed critical review, it became one of the highest-grossing films of 1986, taking in more than $350 million, and making a star of its young lead, Tom Cruise. Sam Delaney of The Guardian writes, "By the mid-80s, Hollywood was awash with British directors who had ushered in a new era of blockbusters using the crowd-pleasing skills they'd honed in advertising. The vast resources and freedom made available to ad directors during advertising's boom era during the 1970s enabled them to innovate and experiment with new techniques that weren't then possible in TV or film." Following the success of Top Gun, Scott found himself on Hollywood's A-list of action directors. He re-teamed with Simpson and Bruckheimer in 1987 to direct Eddie Murphy and Brigitte Nielsen in the highly anticipated sequel Beverly Hills Cop II. While not being critically embraced, the film nevertheless became one of the year's highest grossers. His next film, Revenge (1990), a thriller of adultery and revenge set in Mexico, starred Kevin Costner, Madeleine Stowe and Anthony Quinn. Once again directing Tom Cruise, Scott returned to the Simpson-Bruckheimer fold to helm the big-budget racing film Days of Thunder (1990). Scott later stated that it was difficult to find the drama in racing cars in circles, so he "stole from all race movies to date ... then tried to build on them." Scott's next film was the cult action thriller The Last Boy Scout (1991) starring Bruce Willis and Damon Wayans and written by Shane Black. In 1993, Scott directed True Romance costing just $13m, from a script by Quentin Tarantino. The cast included Christian Slater, Patricia Arquette, Dennis Hopper, Christopher Walken, Gary Oldman, Brad Pitt, Tom Sizemore, Chris Penn, Val Kilmer and in bit roles, James Gandolfini and Samuel L. Jackson. Although it received positive reviews from Janet Maslin and other critics, it took less than $13m and was considered a box office failure. Scott's next film, Crimson Tide (1995), was a submarine thriller starring Gene Hackman and Denzel Washington. In 1995, British film studio, Shepperton Studios, was purchased by a consortium headed by Tony and Ridley Scott, which extensively renovated the studios while also expanding and improving its grounds. In 1996, Scott directed The Fan, starring Robert De Niro, Wesley Snipes, Ellen Barkin and Benicio del Toro. Scott's 1998 film Enemy of the State, a conspiracy thriller, starred Will Smith and Gene Hackman, and was his highest-grossing film of the decade. His next film, Spy Game, was released in November 2001. It garnered 63% positive reviews at Metacritic and made a little over $60m at the US box office. Scott subsequently directed another thriller starring Denzel Washington, Man on Fire, released in April 2004. Scott and his brother Ridley were co-producers of the TV series Numb3rs, which aired from 2005 to 2010. Tony Scott directed the first episode of the fourth season. In 2006, he contributed voice-over to a song called Dreamstalker on Hybrid's album I Choose Noise; Scott has worked together with Hybrid on several films through mutual friend Harry Gregson-Williams. Next for Scott came Domino (2005) starring Keira Knightley. In autumn 2006, Scott reteamed with Denzel Washington for the sci-fi action film Déjà Vu. Scott once again teamed up with Denzel Washington on The Taking of Pelham 123, which also starred John Travolta and was released in cinemas on 12 June 2009. The film was a remake of the 1974 film of the same title starring Walter Matthau and Robert Shaw. 2009 also saw the debut of The Good Wife, a legal drama television series which had Scott and his brother as two of several executive producers. In 2010, the Scott brothers produced the feature film adaptation of the television series The A-Team. Scott's film, Unstoppable, again starring Washington (with Chris Pine), was released in November 2010. Shortly before his death he produced Coma, an A&E miniseries, the Coca-Cola short film The Polar Bears and the thillers Stoker and The East, both with his brother. Scott developed a film adaptation of Clifford Irving's novel Tom Mix and Pancho Villa (1981) for over a decade. In November 2003, he scouted locations in Mexico, and Steven Zaillian was writing the screenplay. "This is Lawrence of Arabia meets The Wild Bunch, a huge film with trains, cavalry, thousands of soldiers in uniform and on horseback," Scott said. In late 2006, Scott announced a remake of the action thriller The Warriors (1979). "The original Warriors was New York in the 1970s, and everything went upwards, everything went vertically. And now I'm making it a contemporary thing and doing it in L.A., so everything is horizontal. So my vision of The Warriors is Los Angeles in 2007 and the gangs, instead of being 30, are going to be 3,000 or 5,000," he said. Scott met with actual gang members for research: "I've met all the heads of all the different gangs, so I've already educated myself. They all said, 'Listen dude, if you get this on we'll sign a treaty and we'll all stand on the Long Beach Bridge. There'll be 150,000 members there. It'll look like the L.A. Marathon.'" Scott was simultaneously developing a drama project titled Emma's War about British foreign aid worker Emma McCune. Scott said in October 2006, "It's been a difficult piece to crack. We had one writer aboard who did a pass at the script and didn't get it, but we've got someone else onboard now who I'm going to make live down there and smell it, touch it, feel it. There's nothing that can compare to that kind of first-hand experience." Tom Cruise was with Scott just two days prior to the director's suicide, scouting locations for a sequel to Top Gun, scheduled for production in 2013. In December 2012, Paramount announced that the project was officially cancelled, but they would go ahead with a 3D IMAX remastering of the original Top Gun, which was released on 8 February 2013. In June 2013 it was confirmed by Bruckheimer that Top Gun 2 has been given the greenlight once again. Scott was also slated to direct Narco Sub, from a script by David Guggenheim and Mark Bomback, about "a disgraced American naval officer forced to pilot a sub carrying a payload of cocaine to America." Scott was also considering a remake of the classic western The Wild Bunch (1969). It's about energy and it's about momentum, and I think the movie's very exciting, and it's not one individual thing. The true excitement comes from the actors—that gives you the true drama—and whatever I can do with the camera, that's icing on the cake. I wanted the movie to grab you. I use four cameras and I maybe do three takes—so the actors love it. Maybe I move it more than I should, but that's the nature of the way I am. What always leads me in terms of my movies are characters. [I tell my production team] 'Go into the real world, cast these people in the real world, and find me role models for my writers.' Then I reverse-engineer. I don't change the structure of the script, but I use my research. That's always been my mantra, and that's what gets me excited, because I get to educate and entertain myself in terms of worlds I could never normally touch, other than the fact that I'm a director. [...] If you look at my body of work, there's always a dark side to my characters. They've always got a skeleton in the closet, they've always got a subtext. I like that. Whether it's Bruce Willis in Last Boy Scout or Denzel Washington in The Taking of Pelham 123. I think fear, and there's two ways of looking at fear. The most frightening thing I do in my life is getting up and shooting movies. Commercials, movies, every morning I'm bolt upright on one hour two hours sleep, before the alarm clock goes off. That's a good thing. That fear motivates me, and I enjoy that fear. I'm perverse in that way. I do other things. I've rock climbed all my life. Whenever I finish a movie, I do multi-day ascents, I go hang on a wall in Yosemite. That fear is tangible. That's black and white. I can make this hold or that hold. The other fear is intangible, it's very abstract, and that's more frightening. Manohla Dargis of The New York Times wrote that Scott was "one of the most influential film directors of the past 25 years, if also one of the most consistently and egregiously underloved by critics" and called him "[o]ne of the pop futurists of the contemporary blockbuster." She felt that "[t]here was plenty about his work that was problematic and at times offensive, yet it could have terrific pop, vigor, beauty and a near pure cinema quality. These were, more than anything, films by someone who wanted to pull you in hard and never let you go." Owen Gleiberman of Entertainment Weekly wrote that "the propulsive, at times borderline preposterous popcorn-thriller storylines; the slice-and-dice editing and the images that somehow managed to glow with grit; the fireball violence, often glimpsed in smeary-techno telephoto shots; the way he had of making actors seem volatile and dynamic and, at the same time, lacking almost any subtext" were qualities of Scott's films that both "excited audiences about his work" and "kept him locked outside the gates of critical respectability." Todd McCarthy of The Hollywood Reporter wrote that after Top Gun, Scott "found his commercial niche as a brash, flashy, sometimes vulgar action painter on celluloid," citing Beverly Hills Cop II, Days of Thunder, The Last Boy Scout, True Romance, and The Fan as examples. McCarthy concluded that Unstoppable, Scott's final film, was one of his best. Apart from having "its director's fingerprints all over it—the commitment to extreme action, frenetic cutting, stripped-down dialogue"—McCarthy found "a social critique embedded in its guts; it was about disconnected working class stiffs living marginal lives on society's sidings, about the barely submerged anger of a neglected underclass," something which "always had been lacking from Tony Scott's work, some connection to the real world rather than just silly flyboy stuff and meaningful glances accompanied by this year's pop music hit." Betsy Sharkey of The Los Angeles Times wrote that Denzel Washington—who starred in Crimson Tide, Man on Fire, Déjà Vu, The Taking of Pelham 123, and Unstoppable—was Scott's muse, and Scott "was at his best when Washington was in the picture. The characters the actor played are the archetype of the kind of men Scott made. At their core, and what guided all the actions that followed, was a fundamental decency. They were flawed men to be sure, some more than others, but men who accorded dignity to anyone who deserved it." Scott married three times. His first marriage was to BAFTA Award winning TV production designer Gerry Boldy (1944–2007) in 1967. They were divorced in 1974. His second marriage was in 1986 to advertising executive Glynis Sanders. They divorced a year later when his affair with Brigitte Nielsen, whom he met on the set of Beverly Hills Cop II, became public. She was married to Sylvester Stallone at the time. He subsequently met film and TV actress Donna Wilson, who was 24 years younger, on the set of Days of Thunder in 1990; they married in 1994. She gave birth to their twin sons, Frank and Max, in 2000. Tony Scott jumped off the Vincent Thomas Bridge (pictured above in 2003) on 19 August 2012. On 19 August 2012, at approximately 12:30 p.m. PDT, Scott died by suicide by jumping off the Vincent Thomas Bridge in the San Pedro port district of Los Angeles, California. Investigators from the Los Angeles Police Department's Harbor Division found contact information in a note left in his car, parked on the bridge, and a note at his office for his family. One witness said he did not hesitate before jumping, but another said he looked nervous before climbing a fence, hesitating for two seconds, and jumping into the water beside a tour boat. 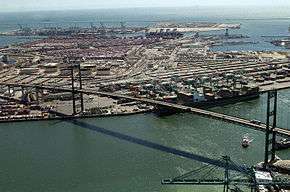 His body was recovered from the water by the Los Angeles Port Police. On 22 August, Los Angeles County coroner's spokesman Ed Winters said the two notes Scott left behind made no mention of any health problems, but neither the police nor the family disclosed the content of those notes. On 22 October 2012, the Los Angeles County Coroner's Office announced the cause of death as "multiple blunt force injuries." Therapeutic levels of mirtazapine and eszopiclone were in his system at the time of death. Both drugs have been known to cause suicidal thoughts or ideation. A coroner's official said Scott "did not have any serious underlying medical conditions" and that there was "no anatomic evidence of neoplasia [cancer] identified." In a November 2014 interview with Variety, Ridley Scott, while describing Tony's death as "inexplicable," contradicted the coroner's official by saying that Tony had been "fighting a lengthy battle with cancer—a diagnosis the family elected to keep private during his treatments and in the immediate wake of his death." A family press release on 22 August stated that "The family will announce plans after Labor Day for a gathering to celebrate the life and work of Tony Scott. Details will be forthcoming once they are formalised." The family also announced that they had established a scholarship fund at the American Film Institute in Scott's name, stating, "The family ask that in lieu of flowers, donations be made to the fund to help encourage and engage future generations of filmmakers." He was cremated, and his ashes were interred at a private family funeral on 24 August in Los Angeles. Subsequently it was reported that he had left his estate to his family trust. He is survived by his wife, Donna Wilson Scott, their twin sons, and his brother, film director Ridley Scott. Many actors paid tribute to him, including Tom Cruise, Christian Slater, Val Kilmer, Eddie Murphy, Denzel Washington, Gene Hackman, Elijah Wood, Dane Cook, Dwayne Johnson, Stephen Fry, Peter Fonda and Keira Knightley, as well as musical collaborators Hybrid. Cruise stated, "He was a creative visionary whose mark on film is immeasurable." Denzel Washington, Scott's most frequent acting collaborator, said, "Tony Scott was a great director, a genuine friend and it is unfathomable to think that he is now gone." Directors UK chairman Charles Sturridge commented, "Tony Scott was a brilliant British director with an extraordinary ability to create energy on screen, both in action and in the creation of character." The first episode of Coma and the first episode of season 4 of The Good Wife were dedicated in his memory. His brother Ridley's films The Counselor and Exodus: Gods and Kings were also dedicated in memory of him. Ridley also paid tribute to Tony at the 2016 Golden Globes, after his film, The Martian, won Best Motion Picture – Musical or Comedy. ↑ "Outstanding British Contribution To Cinema". BAFTA. 13 October 2015. ↑ Sullivan, Michael (17 September 2010). "BAFTA/LA to honor Scott Free Prods.". Variety. Reed Elsevier Inc. Retrieved 31 July 2012. ↑ "Tony Scott Had Taken Anti-Depressants and Sleeping Pills Before He Jumped Off Bridge to His Death as Autopsy Confirms Director Wasn't Suffering from Cancer", Daily Mail, 22 October 2012. Retrieved 24 October 2015. ↑ "Tony Scott: tragic illness behind Top Gun director's suicide" (20 August 2012). Retrieved 13 March 2015. 1 2 Blankenstein, Andrew; Horn, John (19 August 2012). "'Top Gun' director Tony Scott jumps to his death from L.A. bridge". Los Angeles Times. Archived from the original on 20 August 2012. Retrieved 20 August 2012. ↑ "How Winston helped save the nation". The Scotsman. 6 July 2002. Archived from the original on 20 August 2012. Retrieved 20 August 2012. ↑ "Tony Scott". The Telegraph. London. 20 August 2012. Retrieved 20 August 2012. 1 2 3 Galloway, Stephen (22 August 2012). "Tony Scott's Unpublished Interview: 'My Family Is Everything to Me'". The Hollywood Reporter. Retrieved 25 August 2012. ↑ Ridley Scott's comment on The Directors—The Films of Ridley Scott. ↑ Harper, Tom; Jury, Louise (20 August 2012). "Hollywood pays tribute to Top Gun director Tony Scott following suicide leap". Evening Standard. Retrieved 5 September 2012. 1 2 3 Rich, Katey (12 June 2009). "Interview: Tony Scott". Cinema Blend. Retrieved 20 August 2012. ↑ White, James (20 August 2012). "Tony Scott Dies". Empire. Retrieved 24 August 2012. 1 2 3 4 5 6 Makinen, Julie; Boucher, Geoff (20 August 2012). "Tony Scott dies at 68; a film career in retrospective". The Los Angeles Times. Archived from the original on 20 August 2012. Retrieved 20 August 2012. ↑ "Tony Scott Obituary". The Guardian. ↑ Wicks, Kevin (20 August 2012). "British Director Tony Scott Dead in Apparent Suicide at 68". BBC America. Archived from the original on 20 August 2012. Retrieved 20 August 2012. 1 2 "Jets, jeans and Hovis". The Guardian. 12 June 2015. 1 2 "Obituary: Tony Scott". BBC News. 20 August 2012. Retrieved 21 August 2012. 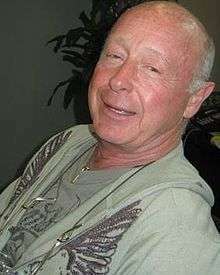 1 2 3 "Authorities say 'Top Gun' director Tony Scott dies after jumping off Los Angeles County bridge". The Washington Post. Associated Press. 19 August 2012. Archived from the original on 20 August 2012. Retrieved 20 August 2012. ↑ Shoard, Catherine (20 August 2012). "Tony Scott: a career in clips". The Guardian. London. Retrieved 21 August 2012. ↑ "Numb3rs Season 4, Episode 1: Trust Metric". Internet Movie Database. Archived from the original on 20 August 2012. Retrieved 20 August 2012. ↑ "Domino". Internet Movie Database. Archived from the original on 20 August 2012. Retrieved 20 August 2012. ↑ "Déjà Vu". Internet Movie Database. Archived from the original on 20 August 2012. Retrieved 20 August 2012. ↑ "The Taking of Pelham 1 2 3". Internet Movie Database. Archived from the original on 20 August 2012. Retrieved 20 August 2012. ↑ "Full Cast and Crew for 'The Good Wife'". Internet Movie Database. Archived from the original on 20 August 2012. Retrieved 20 August 2012. ↑ "The A-Team". Internet Movie Database. Archived from the original on 20 August 2012. Retrieved 20 August 2012. ↑ "Unstoppable". Internet Movie Database. Archived from the original on 20 August 2012. Retrieved 20 August 2012. ↑ Marroquin, Art (19 August 2012). "BREAKING: Film director Tony Scott jumps to his death from Vincent Thomas Bridge". Los Angeles Daily News. Retrieved 20 August 2012. ↑ Fleming, Michael; Bensinger, Ken (17 November 2003). "'Pancho' in Mexico mix". Variety. Retrieved 25 August 2012. 1 2 Collura, Scott (16 November 2006). "Helmer Talks Warriors Remake". IGN. Retrieved 25 August 2012. ↑ Bunbury, Stephanie (16 April 2005). "Nicole enters movie maelstrom". The Age. Australia. Retrieved 25 August 2012. ↑ Alter, Ethan (23 October 2006). "SCOTT, TONY". Film Journal International. Retrieved 25 August 2012. 1 2 3 McClintock, Pamela (20 August 2012). "Tony Scott Spent Final Days Working With Tom Cruise on 'Top Gun 2'". The Hollywood Reporter. Retrieved 25 August 2012. ↑ Rich, Katey (20 August 2012). "Remembering Tony Scott, In His Own Words". Cinema Blend. Retrieved 20 August 2012. 1 2 Dargis, Manohla (20 August 2012). "A Director Who Excelled in Excess". The New York Times. Retrieved 25 August 2012. ↑ Gleiberman, Owen (21 August 2012). "Was Tony Scott a good director? It depends on what your definition of good is". Entertainment Weekly. Retrieved 25 August 2012. 1 2 McCarthy, Todd (22 August 2012). "Todd McCarthy: How Tony Scott Finally Won Me Over". The Hollywood Reporter. Retrieved 25 August 2012. ↑ Sharkey, Betsy (24 August 2012). "Tony Scott, a man of action who brought out the best in his men". The Los Angeles Times. Retrieved 25 August 2012. ↑ Stafford-Clark, Nigel (12 May 2007). "Obituary: Gerry Scott Foulds". The Guardian. London. Retrieved 27 August 2012. ↑ Hough, Andrew; Allen, Nick (20 August 2012). "Top Gun director Tony Scott dies after jumping from Los Angeles bridge". The Telegraph. London. Retrieved 16 October 2012. ↑ "Hollywood pays tribute to Top Gun director Tony Scott following suicide leap". London Evening Standard. 20 August 2012. Retrieved 27 August 2012. ↑ Andy Jessop (2012-08-20). "Tony Scott Dies After Bridge Plunge by Andy Jessop of Lifestyle Uncut". Lifestyleuncut.com. Retrieved 2014-08-24. 1 2 Blankstein, Andrew (19 August 2012). "'Top Gun' director Tony Scott dead after jumping off bridge". The Los Angeles Times. Retrieved 20 August 2012. ↑ "Tony Scott, Director of 'Top Gun,' Dies in Apparent Suicide". The Wrap. The Wrap News Inc. 19 August 2012. Retrieved 7 February 2013. ↑ Geier, Thom (20 August 2012). "'Top Gun' director Tony Scott dies at age 68 in apparent suicide". Entertainment Weekly. Archived from the original on 20 August 2012. Retrieved 20 August 2012. ↑ Louise Boyle (19 August 2012). Top Gun director Tony Scott commits suicide by jumping off LA bridge. The Daily Mail. Retrieved 20 August 2012. ↑ "Tony Scott Laid to Rest in Los Angeles". The Hollywood Reporter. 24 August 2012. Retrieved 26 August 2012. ↑ Winton, Richard; Blankstein, Andrew (25 August 2012). "Tony Scott death: Director laid to rest as questions remain". The Los Angeles Times. Retrieved 27 August 2012. ↑ "Antidepressant, Sleep Aid Found in Director Tony Scott's Body". The Daily Beast. Retrieved 23 October 2012. ↑ "Director Tony Scott had no serious medical conditions, coroner says". Los Angeles Times. 22 October 2012. Retrieved 23 October 2012. ↑ Scott Foundas (25 November 2014). "Exodus: Gods and Kings' Director Ridley Scott on Creating His Vision of Moses". Variety. Retrieved 28 December 2014. ↑ Miller, Daniel (22 August 2012). "Tony Scott Funeral Plans and Memorial Announced". The Hollywood Reporter. Retrieved 26 August 2012. ↑ Miller, Daniel (27 August 2012). "Tony Scott Family Establishes AFI Scholarship". The Hollywood Reporter. Retrieved 28 August 2012. ↑ "Tony Scott's Will Leaves Entire Fortune to Wife and Kids". TMZ.com. 21 September 2012. Retrieved 16 October 2012. ↑ "Tony Scott". NNDB. Retrieved 20 August 2012. ↑ "Film Director Tony Scott : In Remembrance". Hybridsoundsystem.com. 21 August 2012. Retrieved 16 October 2012. ↑ "Tony Scott dies aged 68". Directors UK. Retrieved 29 August 2012. ↑ "Golden Globes 2016 ceremony – in pictures". The Guardian. 9 February 2016. Gerosa, Mario ed. (2014). Il cinema di Tony Scott. Il Foglio. ISBN 9788876064814. "Tony Scott". Find a Grave. Retrieved 11 June 2013.